✔ PORTABLE AND REMOVABLE RESPILON - Adjustable Window Screen is easy to remove for cleaning. It can also be stored with ease during winter season so you can shut all your windows and get warm. 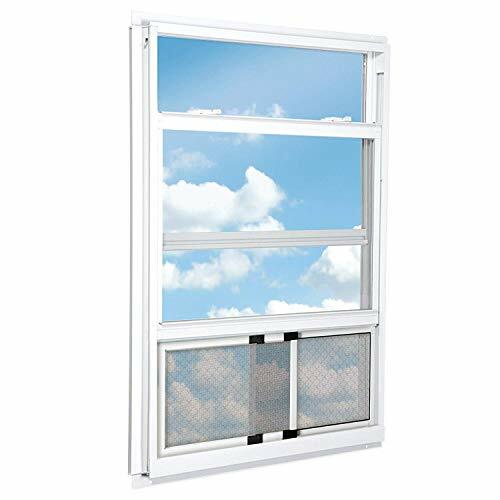 ✔ BEST AIRFLOW - For the best airflow during ventilation, we recommend to use two RESPILON Adjustable Screens in windows situated opposite to each other. ✔ Thanks to the "chimney effect" your interior will always have plenty of fresh air while being effectively protected. PROTECT YOUR FAMILY! This amazing product helps you and your loved ones to enjoy the natural breeze without the worry of dust, smog, pollen, bacteria and insects. Breathe free without danger of indoor air pollution. READY TO INSTALL You don't need any tools to install this health protective adjustable window screen. Just simply open your window, insert the frame with RESPILON screen and adjust it. Installation done in 10 seconds. TWO SCREENS = HELP AIR CIRCULATION! RESPILON Adjustable Screen is designed to provide better air circulation in your home. It fits multiple sized windows. For the best airflow during ventilation, we recommend to use two RESPILON Adjustable Screens in windows situated opposite to each other. ENJOY THE QUALITY RESPILON develops high standard healthcare products and provides quality service to make you healthy and satisfied. Enjoy the new level of nanofiber protection! If you have any questions about this product by RESPILON Group, contact us by completing and submitting the form below. If you are looking for a specif part number, please include it with your message.